It is important to get regular health checks as you get older. Hearing loss isn’t commonly screened by your GP, so it’s normal to be unsure of when and why you should be getting your hearing tested. If you fit any of the criteria below, it is time for you to arrange a hearing test. Even if you haven’t noticed a drop in your ability to hear, hearing loss is often a gradual process that goes unnoticed and most people will have some degree of hearing loss by the time they are 55. It is especially important to arrange a hearing test if you have never had one before or if it has been a few years since you were last tested, as your hearing levels will have likely changed over time. You can learn about more signs and symptoms of hearing loss here. Noise-induced hearing loss is one of the most common forms of hearing loss. It occurs as a result of prolonged, consistent exposure to loud noise that you may have experienced through work or recreational activities, or a one-time exposure to a very loud noise. If you work/have worked in an industry where you have experienced a high level of noise or vibration, such as construction, farming, airline ground maintenance or music, you should get your hearing tested regularly. It is equally important to get regularly hearing checks if you participate in high-noise recreational activities such as sport shooting, motorsports or attend music concerts. Tinnitus may also be present with noise-induced hearing loss. If you are experiencing a ringing sensation in your ears, you should seek professional help as soon as possible. If you are suffering from an illness such as an ear infection, swimmer’s ear, tonsillitis, a sinus infection or cold, you may experience pain and temporary hearing loss. Most of these illnesses will clear up by themselves within a few days, but if your ear pain/hearing loss doesn’t seem to be subsiding you should visit your doctor. You should also visit your doctor if you are experiencing ear pain or hearing loss as a result of a head injury or damage to your ear (such as from cleaning with a cotton bud). A professional will be able to establish if the hearing loss is temporary or permanent, and if there are any treatments that can improve the condition. 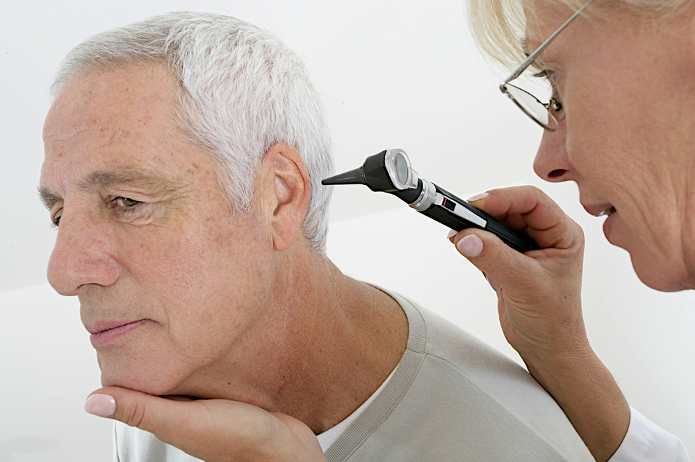 Sudden sensorineural hearing loss (SSHL) occurs in a very short space of time. It can occur in one or both ears as a result of an infection, injury, exposure to loud noise, taking ototoxic medication or a medical condition. SSHL is considered to be a serious medical condition, so it is important to seek help from an audiologist as soon as possible to determine the cause and provide the appropriate treatment. Failing to do so can result in permanent hearing impairment.